The House has amazing tutors that specialize in AP Testing. We utilize the preferred AP test prep materials for each course. With enough practice and guidance from our tutors, your child will know what to expect and be able to successfully navigate any AP test. The 2019 AP Exams will be administered over two weeks in May: May 6 through 10 and May 13 through 17. Coordinators are responsible for notifying students when and where to report for the exams. Early testing or testing at times other than those published by the College Board is not permitted under any circumstances. Our programs are proven to provide exceptional improvements in test scores. 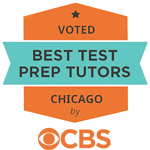 We are pleased to also share that we were rated CBS's Top Tutors of 2018, so you can rest assured, no one can better prepare your student better.